One of my family’s favorite traditions is family movie night. Having movie nights at home is an economical solution to going out and it creates so many memories. The entire family looks forward to our Friday night tradition of watching a new movie and enjoying a special treat! 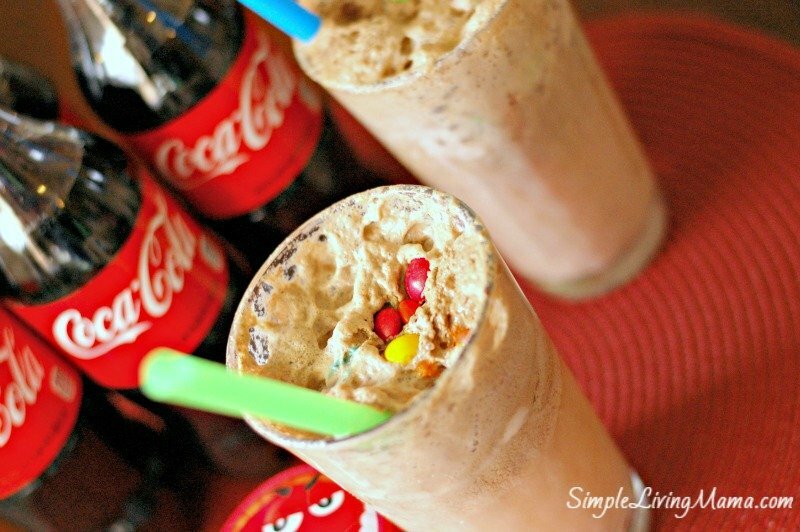 For this family movie night I decided to whip up some homemade M&M’S® ice cream Coca-Cola floats. They were a hit! My first stop before preparing our treat was Walmart. 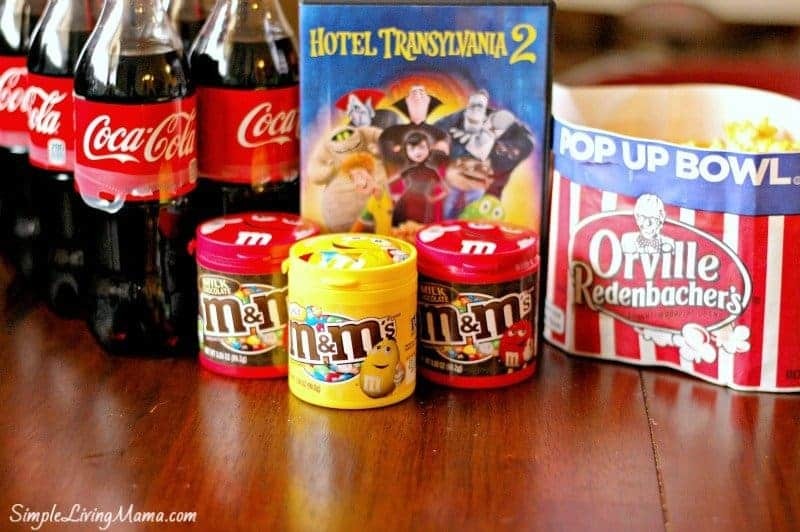 I was able to get the new Hotel Transylvania 2, a 6 pack of Coca-Cola, M&M’S®, and Orville Redenbacher’s popcorn. One of the cool things about purchasing all of these items right now is if you buy all four participating items in one transaction at Walmart between 12/22/2015 and 02/02/2016, all you need to do is snap a picture of your receipt and upload it to uploadreceipt.com/movienight, and you’ll get a $10 Vudu movie code by email. *While supplies last. Limit 1 per person. Once I got home I got busy making our treats! First, I gathered up my ice cream ingredients. The vanilla ice cream ingredients are super simple. 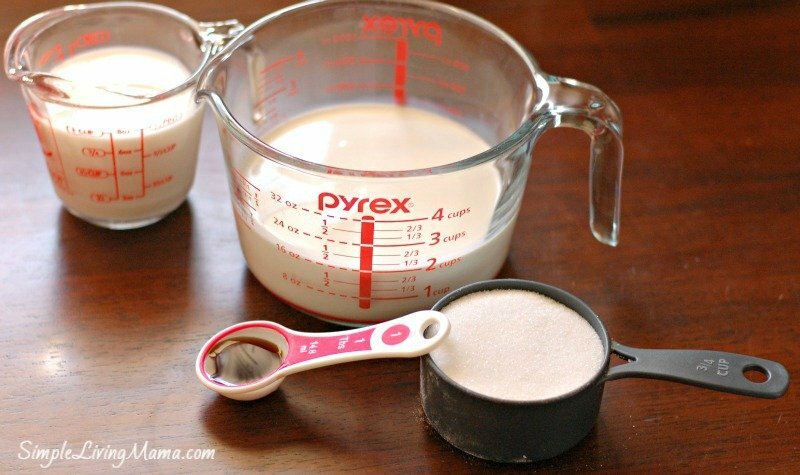 You ‘ll need 1 cup of milk, 2 cups of heavy whipping cream, 3/4 cup sugar, 1 Tbsp. vanilla, and a pinch of salt (not pictured). 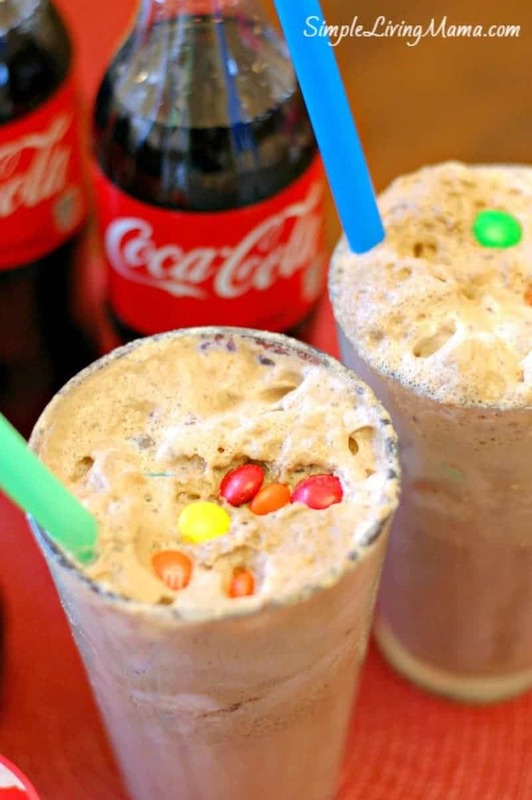 It’s also a good idea to go ahead and crush up 1 cup of M&M’S® if you want to add it to your ice cream. I placed mine in a ziplock bag and used a pill crusher. 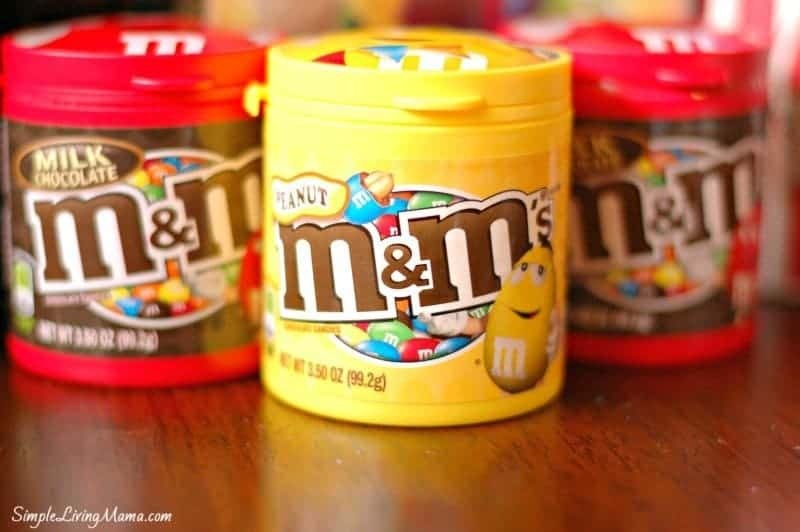 You can freeze the crushed M&M’S® to try to prevent the colors bleeding into your ice cream. 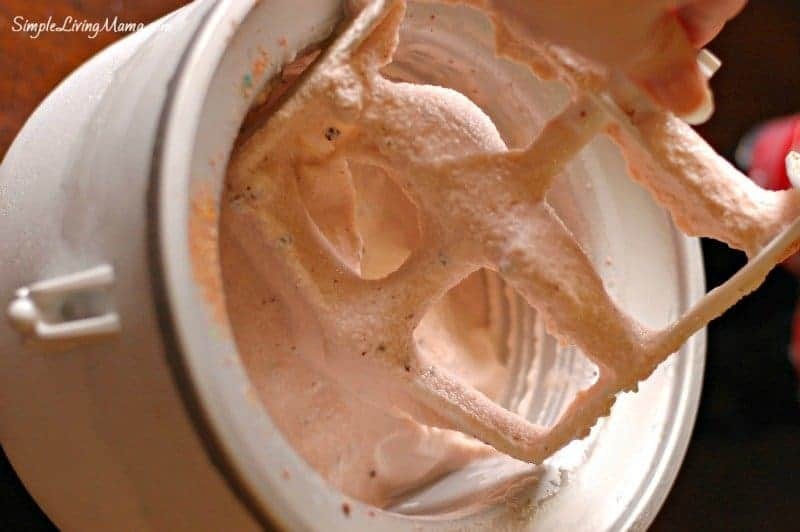 Whisk all of the ice cream ingredients together and put them in your ice cream maker according to the manufacturer’s directions. My ice cream needed to stay in the ice cream maker for 20 minutes. After 15 minutes I added my crushed M&M’S®. My M&M’S® did bleed a little into the ice cream, but that’s ok. It still tasted delicious! Assembling the Coca-Cola floats was super easy. 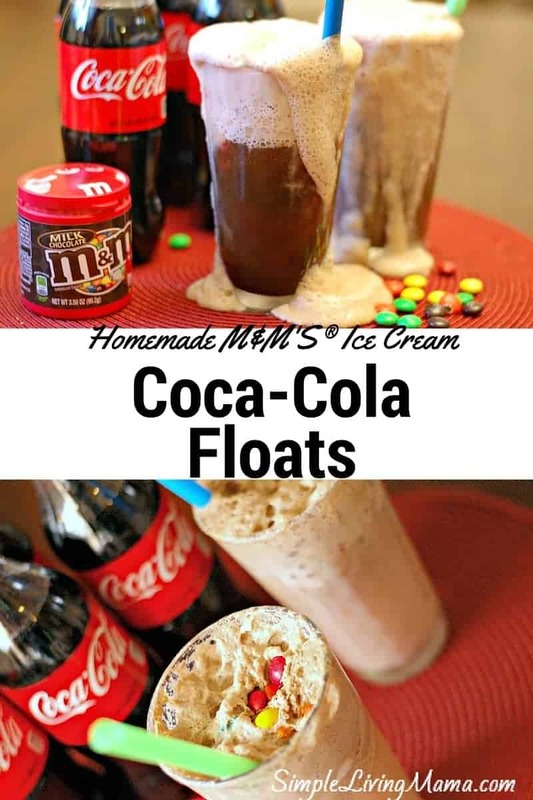 Just pour some Coca-Cola into an ice cold glass, and top with ice cream! If you get it too full you might have some fizz spill over! 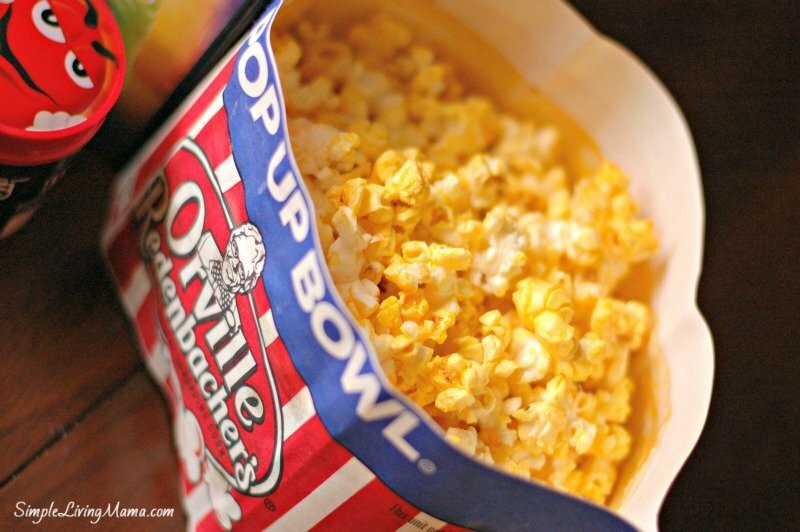 Don’t forget to enjoy your movie with some popcorn. Aren’t these pop up bowls nifty? Extra M&M’S® on the side are a great treat, too! Enjoy your family movie night! Combine all ingredients except M&M's in a bowl and whisk together. Pour milk and cream mixture into ice cream maker. Make sure to follow the manufacturer's directions for preparing the ice cream maker. 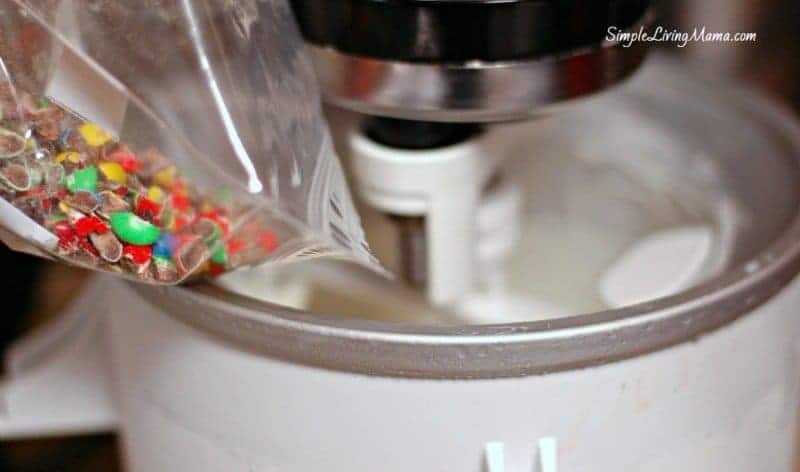 Let ice cream maker mix for 15 minutes, and then add the crushed M&M's. Allow the ice cream maker to continue mixing for another 5 minutes. Mixture will be soft. If you want it to be harder, remove to a plastic tub and place in freezer. 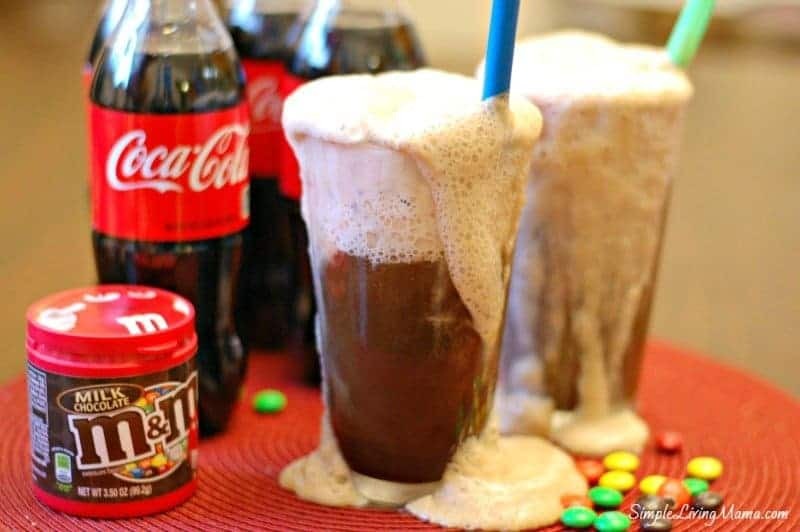 To assemble a Coca-Cola float, pour Coca-Cola into a cold glass and add ice cream to the top. 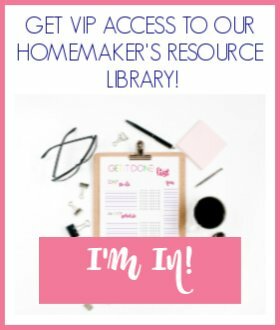 Go check out other #MakeItAMovieNight recipes and don’t forget to redeem your Vudu offer after you purchase all the participating products.